The ideal light for interviews and presentations. 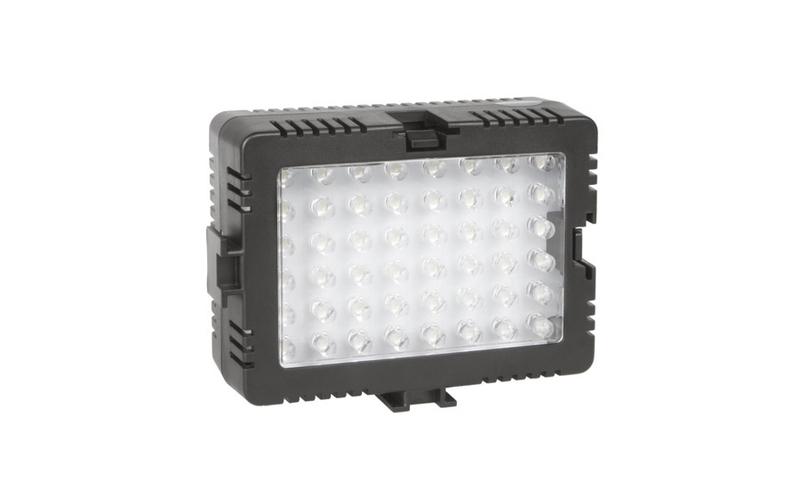 This professional, bright and dimmable LED camera light, clips right on the Movie Mount's hotshoe and allows you to increase picture quality in low-light situations. It's fully dimmable from 5% - 100% brightness, allowing you to precisely adjust foreground and background light. It comes with color tempurature filters, so that it can be used both in daylight and artifical light. Runs on 4 standard AA-batteries.